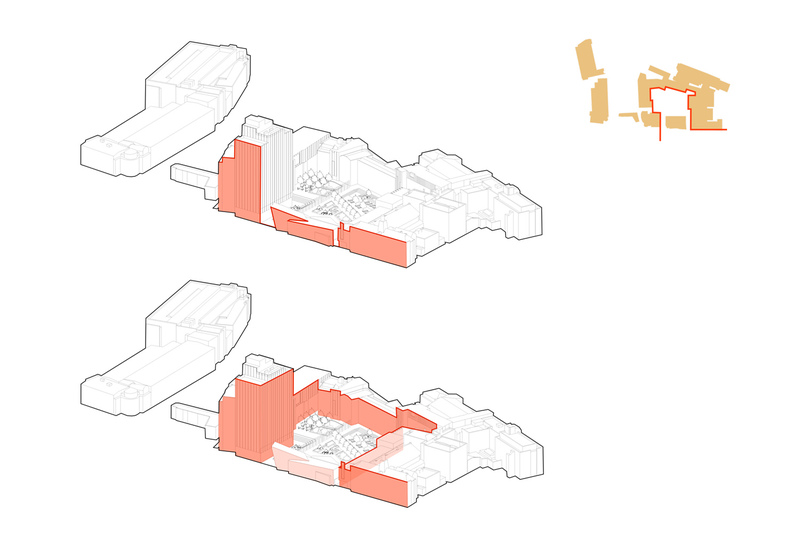 The creation of a more inviting and permeable campus with better located space across the University. The Masterplan is part of London Metropolitan University’s wider One Campus One Community project to bring the estate together onto one campus and to significantly improve the student experience. Time was a key issue and the practice were asked to complete the Masterplan in an ambitious four month period. The process involved over 30 separate consultation sessions as well as discussions with external stakeholders such as Transport for London (TfL), as well as a design crit at the CASS Faculty of Art, Architecture and Design. 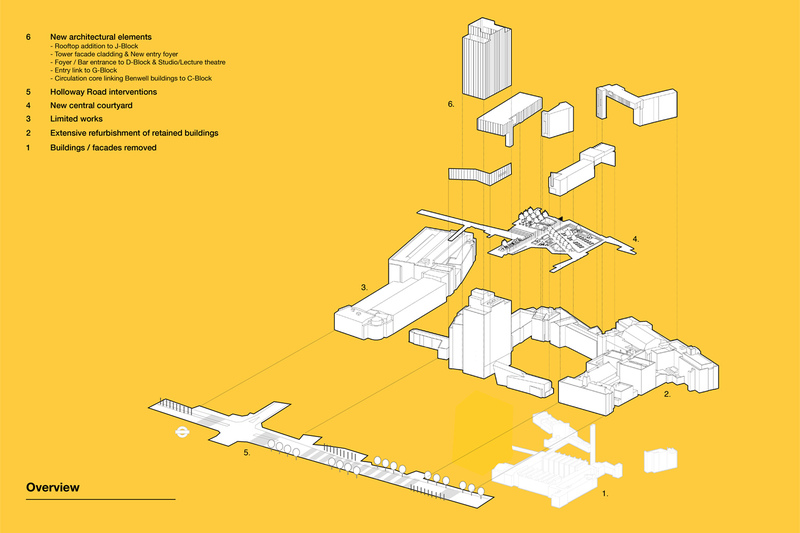 The masterplan covered a wide range of issues and these included; urban design analysis and proposals, detailed space model analysis and proposals, engineering overview, security review, phasing and cost analysis. The practice appointed a team of specialist consultants to support us in the detail delivery of the masterplan and these included FiD (Change Consultant), Buro Happold (Engineering) and Gardiner & Theobald (Cost Consultants). The masterplan was delivered on time within the four months and approved by the University board of governors. 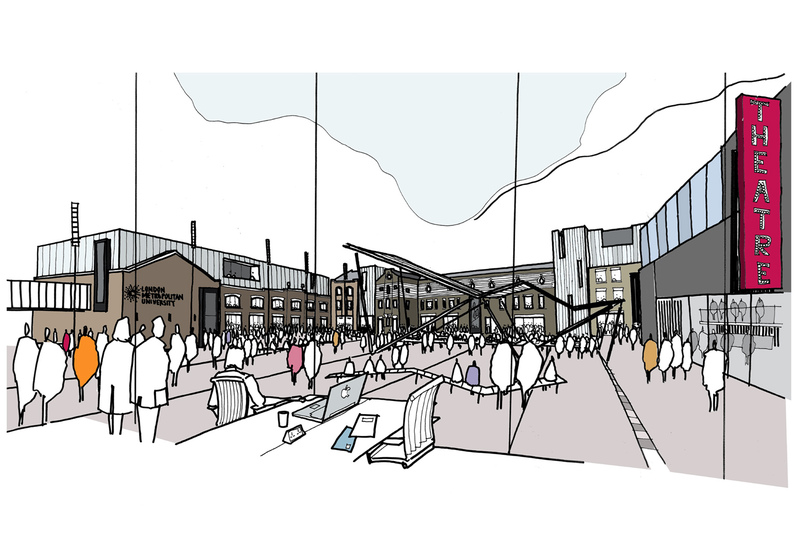 The proposals have sought to better locate space across the campus to provide hubs of specialist facilities as well as a more legible environment. As part of the better connection into the urban realm it was proposed to make the campus far more permeable. Part of this strategy was the creation of a significant new central courtyard open to the public. The scheme works with the current buildings surrounding this central courtyard to extend and repurpose them as well as opening them up to create a new and varied street frontage. In doing so it provides the opportunity to celebrate the fantastic work that takes place at the University. The masterplan includes a new home for the University’s Sir John Cass Faculty of Art, Architecture and Design, which will move to Islington from Aldgate. 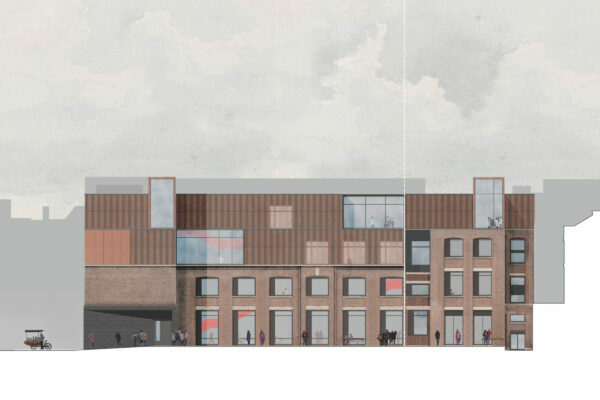 The relocation into new facilities will see the University’s architecture department, which was based in Holloway since 1896 before moving to Aldgate in 2012, return to north London. 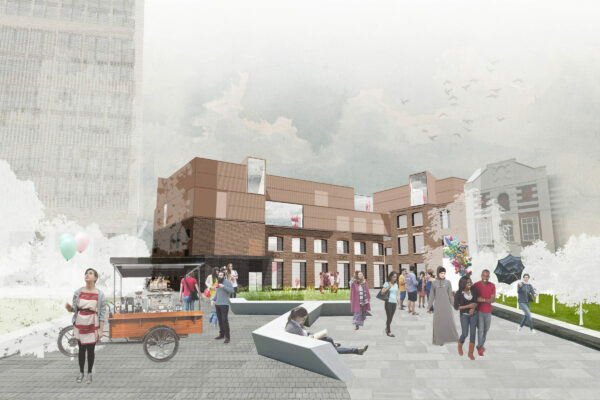 The focus in the masterplan on re-energising the University’s relationship with Holloway Road is an appropriate approach. The importance of the University’s civic presence and the means by which the buildings and the activities within them offers something back to the city, back to its community, is vital. This was really emphasised at the crit with Design Engine at The Cass, and I’m pleased to see this reflected in the masterplan. 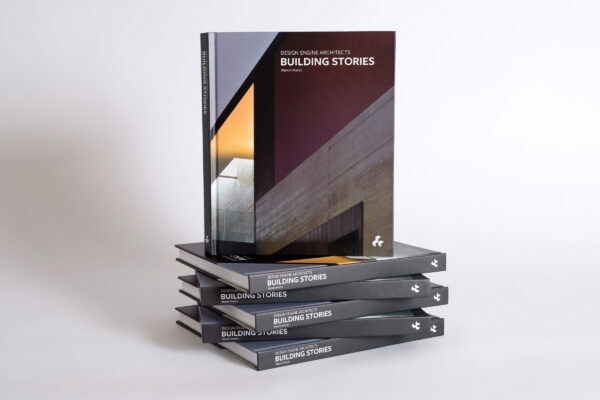 We’re now looking forward to continuing this collaborative approach and having more involvement in the development of the detailed proposals for The Cass’s new home in Islington. Andrew Stone, Acting Dean of The Cass.